Tir Na's mission is to produce new and contemporary works, and to bring those productions to theaters and screens throughout Europe and the United States. 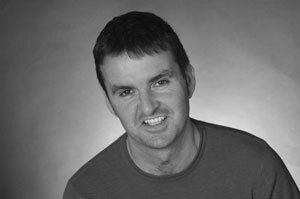 Colin Hamell is Producing/Artistic Director of Tir Na Theatre. He last appeared as Son in their production of Trad by Mark Doherty. This production received three Elliott Norton awards and two IRNE awards. He was also seen as Charlie in their production of Stones in His Pockets in Brussels, Belgium and in the Boston Center for the Arts, Off-Broadway as Mickybo in Mojo Mickybo at 59E59, Eamonn in Ronan Noone's The Blowin of Baile Gall produced by Gabriel Byrne at the Irish Arts Centre. Regional credits include Padraig in The Lieutenant of Inishmore at the New Rep, Mickybo in Mojo Mickybo by Owen McCafferty, Ladeen in The Lepers of Baile Baiste by Ronan Noone, Coleman in The Lonesome West by Martin McDonagh (all at the Sugan Theatre, Boston), Ray Dooley in The Beauty Queen of Leenane starring Julie Harris, by Martin McDonough, Stuart in the U.S. premiere of Cooking with Elvis by Lee Hall (both at Wellfleet Harbor Actors Theatre), and Brendan in the IRNE award-winning production of The Weir by Conor McPherson at the New Repertory Theatre, Newton, Mass. He can be seen as John Hyland in the Paramount's movie The Fighter, Vancleef Martin in Cowboy Cafe and as Cricky in Chickens Neck. Derry Woodhouse is a native of Limerick Ireland and has enjoyed performing on both sides of the Atlantic. He began his acting career in Greece and Turkey with his reenactment of the Odyssey-The Quest For Ulysses. He has performed extensively in the Boston area. Recent productions include Travesities with the Public Theatre, Stones In His Pockets with Tir Na Theatre, Women On The Verge Of HRT with the Sugan Theatre. Other roles with the Sugan include Jimmy Kelly in Molly Maguire, Pato in The Beauty Queen Of Leenane, Freedom Of The City, The Lepers Of Baile Baiste, Famine and The Blowin Of Baile Gaile. Other regional credits include Molly Sweeney, Kiss of the Spider Woman, Ballast, The Winters Tale, The Philadelphia Story, Our Town, The Clearing, The Family Of Maan and The Illusion. Last year Derry performed in Spain and Belgium with Colin. Film credits include Deportation,The Busker and Blue Monday. Derry is a graduate of the Gaiety School Of Acting in Dublin Ireland. Stephen Russell is a director, actor and writer with a long association with the Wellfleet Harbor Actors' Theatre on Cape Cod. Recent directing credits for the company include The Last Train to Nibroc and Intimate Apparel. His many directing credits for other companies include What the Butler Saw, Habeas Corpus, Picasso at the Lapin Agile, The Recruiting Officer, The Country Wife and several of his own plays. As an actor he has worked with Michael Douglas, Matthew McConaughey, David Carradine, Rip Torn, Bruce Dern, Mariel Hemingway, and, most memorably, shared the stage with Julie Harris in a sold-out run of The Beauty Queen of Leenane. He is a member of both Actors' Equity and the Screen Actors' Guild.